Khaled A. Beydoun is an Associate Professor of Law at the University of Detroit Mercy School of Law and Senior Affiliated Faculty at the University of California-Berkeley Islamophobia Research & Documentation Project. A Critical Race Theorist, Professor Beydoun’s research examines the legal construction of Arab and Muslim American identity, the foundational and modern development of Islamophobia, and the intersection of national security policy, civil liberties, and citizenship. A leading scholar on legal matters germane to civil rights and Muslim America, Professor Beydoun’s scholarship has been featured in top law journals, including the Columbia Law Review, the California Law Review, the UCLA Law Review, the Harvard Civil Rights and Civil Liberties Law Review, and the Illinois Law Review. His book, Islamophobia: An American Story (Univ. of California Press), will be released in early 2018. Complimenting his legal research and scholarship, Professor Beydoun is an active public intellectual. In addition to his regular commentary in Al-Jazeera English, Professor Beydoun’s insight has been featured in The Washington Post, The New York Times, San Francisco Chronicle, Time, Salon, and ESPN; and television and radio news programming including CNN, the BBC, Fox, NBC, and ABC News. In addition, Professor Beydoun has served as a consultant for the U.S. Census Bureau, the African American Policy Forum, and a number of colleges and universities. Professor Beydoun also serves on the U.S. Commission for Civil Rights, appointed to serve on the Michigan State Committee in 2017. 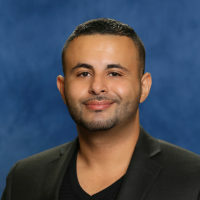 Professor Beydoun earned his undergraduate degree from the University of Michigan; a Master of Laws from the University of Toronto; and his Juris Doctor from the UCLA School of Law. Before academia, Professor Beydoun practiced in the areas of racial justice, criminal defense, and international rule of law. He is a native of Detroit.